What is Paint Zoom™ paint sprayer? Now you can paint like a pro with the Paint Zoom™ paint sprayer and say goodbye to rollers, brushes and the mess of paint trays while getting the best coverage quickly and easily. 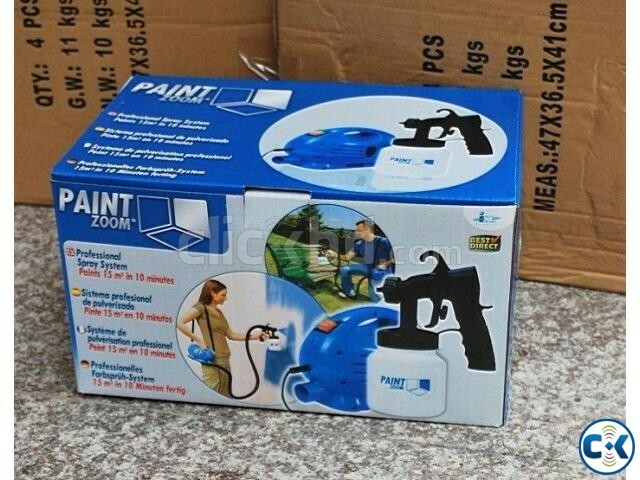 Just pull the trigger and paint with your Paint Zoom™ paint sprayer! The Paint Zoom™ paint sprayer does the hard work for you—painting in just minutes instead of the hours you’d need with a brush and roller—with no drips or errors. Paint on any surface you want, both indoors and outdoors! 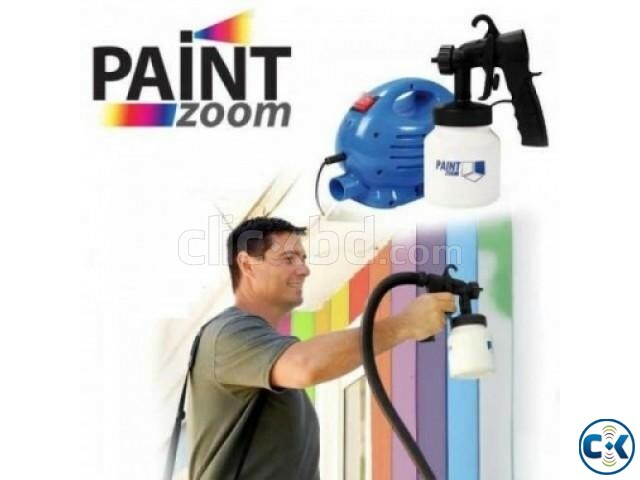 With the Paint Zoom™ paint sprayer, you can paint flat walls, stucco, brick, paneling, ceilings, concrete, wood and much more. And always get the professional finish you want while using less paint and even more savings!. Paint Zoom™ uses a lightweight, compressed air reservoir system. A paint cup is used to hold the paint, which is then drawn out using suction generated by compressed air that is driven from the hose to the paint gun nozzle. By fully developing the potential of the compressed air system, the Paint Zoom™ sprayer has bridged the gap between professional-quality equipment and low-cost ease of use, making painting an easier, lower-cost job than ever before. To transform any room into a magnificent space, you don’t need a whole range of Paint equipments. Just use the Paint Zoom™ paint sprayer, to get that professional result in minutes! 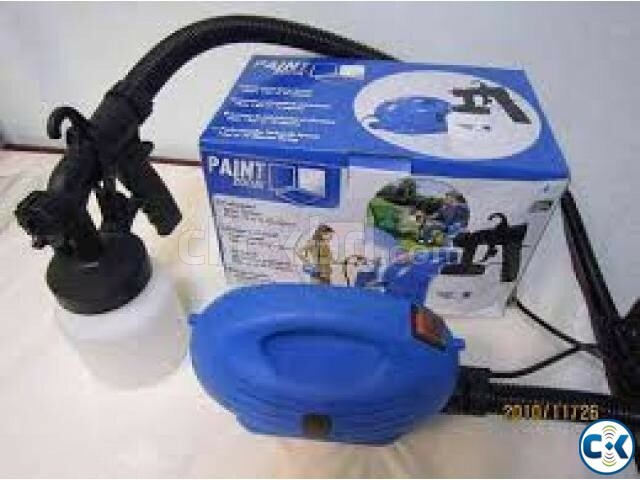 For general-purpose applications and home improvement projects, this system is the best paint sprayer. This compressed air sprayer machine uses precise viscosity and spray geometry control as well as volume flow control, which limits the use of the paint allow you to achieve professional-quality results without the professional cost. There are different sprayer types available in the market, including Power Paint sprayer, HVLP paint sprayer (compressed air spraying) and so on, which are all usually bulky and highly technical in design. But, the Paint Zoom™ paint sprayer is made of ultra-light, ultra-durable material with simple mechanism, making it ideal for home use. Inside the portable power pack is an industrial-strength, 650-watt motor that delivers the power you need and when you need it. 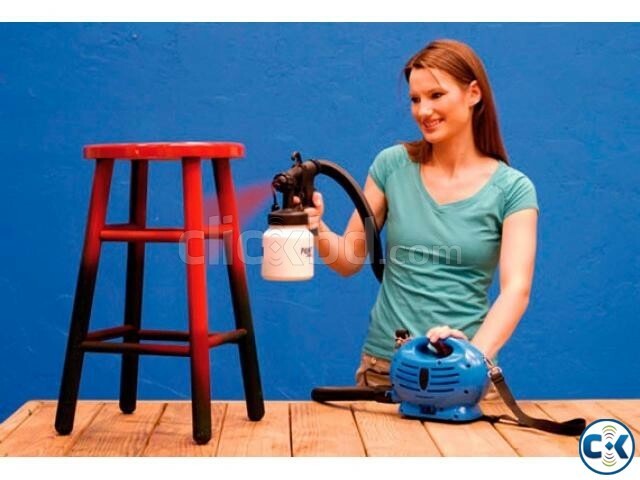 Simply pull the trigger and the paint gun pumps out an appropriate amount of paint to any surface. • Eliminates the need for rollers, brushes and paint trays.